Elmer McCurdy was a bandit. He made a huge mistake in his criminal career when he decided that his next robbery would be of a passenger train in 1911. For some reason, he thought the passenger train was going to be loaded with thousands of dollars. He forced the train to stop and boarded the train. Despite his efforts, he only made off with $46. Lawmen went after him and finally caught him. They shot him dead. McCurdy's body was taken to the local undertaker and he was embalmed with an arsenic preparation. Time passed and no one came to claim McCurdy's body, so the undertaker sold the body to a traveling sideshow to serve as an exhibit. Over the course of 60 years, McCury's body traded hands from sideshows to haunted houses to wax museums. When that kind of time passes and the number of previous owners grows, the fact that the prop is actually the embalmed corpse of a man becomes forgotten. McCurdy finally ended up at an amusement park funhouse. The TV show "Six Million Dollar Man" decided to use the funhouse as a filming location in 1976. People were fooling around and poor Elmer McCurdy's finger broke off and everyone quickly realized that this stuffed prop was actually the body of a human. The cops were called and the Los Angeles Coroner was able to figure out that the body belonged to McCurdy. He was then buried at Boot Hill Cemetery in Dodge City, 66 years after he was shot to death. An embalmed human corpse being mistaken as a stuffed prop, certainly is odd! On this day, January 31st, in 1961, Ham the Chimp was launched into space from the Cape Canaveral space center. During the Soviet/US Space Race, it was decided that it would be best to test the effects of space travel on animals before using humans. An intelligent animal would be needed. One that could be trained to push buttons. The American test facility had 40 chimpanzees available and from that roster, eight were chosen to go through rigorous training. Once the training was done, there was no doubt that Ham was the best candidate. His journey to space was a 17 minute long suborbital flight in which he reached a speed of 5,857 mph, reached the altitude of 157 miles above the Earth and Ham experienced six minutes of weightlessness. Blue lights were used to indicate to Ham when he needed to push certain buttons and he performed perfectly. Everything went fine until Ham was returning to Earth. His return capsule suffered loss of atmosphere. If not for his special space suit, he would have died. Because of this success, the first man was launched into space on May 5, 1961. That man was Alan Shepard. Ham the Chimp became an instant celebrity after his successful space mission. He appeared in several TV shows and in documentary films. He retired to the National Zoo in Washington, D.C. where he lived for 17 years until his death on January 19, 1983. The Miller Brothers 101 Ranch was a 110,000 acre cattle ranch in the Indian territory of Oklahoma before statehood. It is located near Ponca (Pong kuh) City in the Northern part of Oklahoma. Colonel George W. Miller was a larger than life man who founded the Fabulous 101 Ranch in 1893. The 101 Ranch was the birthplace of the 101 Ranch Wild West Show and one of the early focal points of the oil rush in northeastern Oklahoma. It was the largest diversified farm and ranch in America in its day and is now a National Historic Landmark. Today, very little is left of the ranch, but it would seem that several spirits still call the property home. 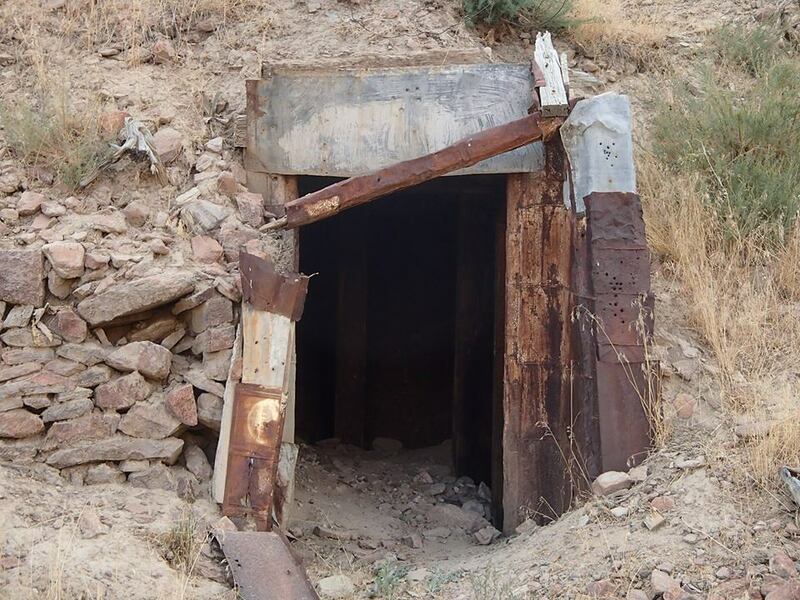 Join us as we explore the history and hauntings of the 101 Ranch. On September 16, 1893, Col. George W Miller along with his wife Molly, three sons Joseph, Zack, and George Jr. and daughter Alma, staked their claim in the Cherokee Strip. Miller had been born in Lincoln County Kentucky in 1842. He was a veteran of the Confederate Army. After the Civil War ended, the Colonel set his sites on California, but he never got there. He stopped in Bliss, Oklahoma where he would make his claim. This claim was in the rich bottom land of the Salt Fork of the Arkansas River, some six miles southwest of what is modern day Ponca City, Oklahoma. Here Col. Miller relocated his growing cattle operation. 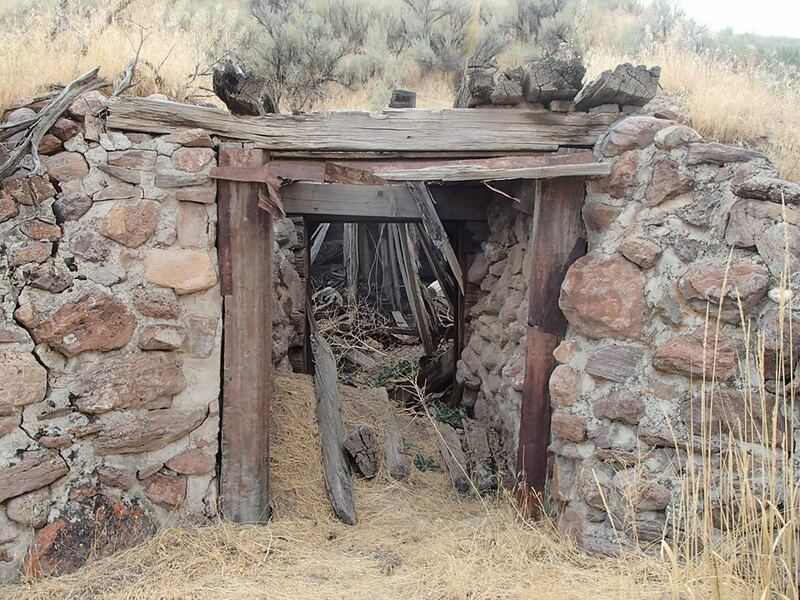 This would be his third ranch effort within the northern area of Indian Territory. In the spring of 1895, Col. Miller began to plow 2000 acres of virgin prairie. His plan was to plant the land in order to winter Texas cattle. By that fall several thousand additional acres of wheat was sown and produced 35 bushels an acre. Seeking to expand his cattle and agricultural interest following the opening of the Cherokee Strip by land run, he and his sons began buying additional property along with lease agreements from the Ponca Indian Tribe. The 101 Ranch expanded to some 75,000 acres of pasture and farm land. With hard work and good fortune, the Ranch grew to an estimated 110,000 acres. In January 1903, Col. Miller passed away from complications of pneumonia and the ranch was taken over by his three sons, Joe, George Jr., and Zack. Molly and Joe took the Colonel back home to Kentucky to be buried. Upon returning home, the family continued with plans to build a new home. The new house, which was a large white frame house characteristic of prosperous families of the day, was finished by Christmas of 1903. It became known as the White House. After taking over the daily business and running of the 101 Ranch, the Miller brothers built a herd of 25,000 longhorn and developed experimental and highly successful agriculture applications. Led by Joe Miller, the brothers additionally developed large herds of Holstein, Shorthorn, and Hereford dairy cattle along with Duroc-Jersey hogs. Their swine production alone resulted in their ability to ship 10,000 hogs a year to market. They also planted large orchards. In 1905, the National Editorial Association of St. Louis made plans to hold its annual newspaper editors convention in Guthrie, Oklahoma. Joe Miller scheduled an entertainment gala for the influential visitors at the 101 Ranch. Drawing inspiration from a quickly passing period of America's Old West, the Miller brothers put on an extravaganza they promoted as a “Round-up”. Souvenir programs offered during the event additionally billed the Oklahoma Gala as a Cowboy Reunion, Indian Celebration, Buffalo Chase and Historical Exhibition. At least 200 local cowboys, ranch hands, and Indians took part in the show and arrangements were made to have imprisoned frontier warrior Geronimo brought to the ranch under military guard from Fort Sill. With assistance, the aging warrior killed a buffalo in the arena from a motorcar, signed autographs and sold souvenirs. The Millers also advertised in area newspapers they would offer a $1000 prize to anyone who would submit to being scalped by Geronimo! marching bands, soldiers and ,of course, Geronimo. 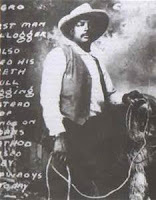 Along with Geronimo’s mock buffalo hunt there was trick riding, bucking horses and a performance by the Bulldogger from Texas, Bill Pickett. Pickett was of African-American and Cherokee descent and was the son of a former slave. Pickett invented the technique known as bulldogging. This involves grabbing cattle by their horns and wrestling them to the ground. It can be quite dangerous. Pickett was famous for this technique and his performance in numerous wild west shows. And he eventually even acted in movies. He died in 1932 when a bronco kicked him in the head. The gala ended that evening with an unannounced frontier style wagon train attack by Indian performers. This incredible performance garnered national attention for the 101 Ranch and brought them into the venue of western entertainment. 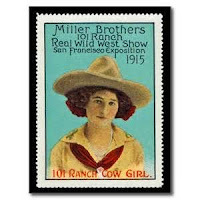 The show was so successful, Joe Miller and his brothers formed the 101 Ranch Wild West Show and it began to tour the United States in 1907. Joe was a highly skilled equestrian. By 1914, the 101 Ranch Wild West Show began touring Internationally. They performed in England, the European continent and South America. Several of the performers who joined the brothers in the show were Bill Pickett, Lillian Smith, who was a trick shooter and rival to Annie Oakley, Bee Ho Gray, who was trick roper and highly skilled with the Australian black snake whip, Tom Mix, who was Hollywood's first mega western star and starred mainly in silent films, Mexican Joe, who was an expert rider and roper and for whom Jim Reeves' song "Mexican Joe" was written, and the master wild west showman himself, Buffalo Bill Cody. During WWI, the 101 Ranch Wild West Show took a hiatus from 1916 to 1924. In 1925, the Miller Brothers entertained the King and Queen of England along with an estimated 700,000 spectators during thirty-three performances. The 101 Ranch itself was much more than just cattle and crops. It was a community of industry, unseen by anyone in Indian Territory before this time. In 1908, a lawyer and oilman from Pennsylvania by the name of Earnest Whitworth Marland showed up at the 101 Ranch looking for oil. Marland would eventually become a governor of Oklahoma. Marland walked and studied the ranch property and the surrounding vicinity that included outcroppings of rocks and geologic formations and rolling prairie. At that time, the 101 Ranch included about one hundred thousand acres. Only about ten thousand of the acres were owned outright by the Miller Brothers, the remainder of the lands were held under lease from the Ponca Indians. Mr. Marland was convinced that the Ponca Indian cemetery was a distinct oil formation. He told George Miller he would agree to drill a test well if he would give him a lease on the 101 Ranch lands and help him obtain the necessary leases from the Ponca Indians. 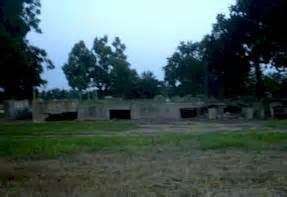 It took a large amount of time to convince the tribe members to give them a lease on the cemetery and on the surrounding land. And we're actually shocked they did with how the Native Americans revered their dead and burial lands. In February 1909, the first location was staked. The lease included 10,000 acres on the 101 Ranch and 4,800 acres from the Ponca Indians. The lease on the cemetery was sold to George Miller provided he would not drill within the area where they were burying their dead. A half interest was given to Marland on condition he would do the drilling. The first well drilled near the headquarters of the 101 Ranch was a non producer. About five miles from the first, the second well was drilled. At a depth of five hundred feet, an extraordinarily large flow of gas was struck in the spring of 1910. An old Ponca Indian named, Running-After-Arrows, witnessed the bringing in of the first gas well on the 101 Ranch. He had never seen or heard such a thing before. George Miller, who was present, explained to him in the Ponca language what a gas well was, but Running- after-Arrows could not understand the roaring gas coming from the interior of the earth. He considered it to be an evil omen and a sign of coming destruction. “Uh-h, no good, no good,” he grunted “Beautiful country all die now. Cattle die. Ponies dies. No good, no good. Beautiful country soon all gone.” No one knew that the Indian’s prophecy would soon come true. The plains became spotted with oil derricks and herds of cattle gradually gave way to huge tank farms. The production of raw materials was still very important to the 101 Ranch and they continued to market them. The ranch produced virtually every kind of raw product- wheat and corn, cattle and horses, hogs and chickens, alfalfa and kafir, fruit and vegetables, buffalo and elephants, camels and longhorns, ostriches and peacocks, work mules and cow ponies, the bizarre and the common. Yes, you heard that right, this ranch had elephants, peacocks and ostriches. *Ever eaten ostrich? It's not like chicken. It's a red meat and very delicious! * The ranch had its own meat packing plant where they employed all the modern processes of slaughtering, packing, and distributing meat products. It had a daily capacity to process a hundred hogs and fifty cattle. It provided huge cold storage and cooling rooms for the proper handling of meats. The surplus hogs and cattle were slaughtered in the plant and the sugar-cured hams and home cured meats were sold in large quantities. The meat products were sold and delivered by refrigerated trucks within a one hundred mile radius of the ranch. Soon after starting the packing plant, a large amount of raw hides accumulated. The price offered for them by the tanners seemed to be extremely low compared with the price of finished hides, so the Miller Brothers built a large tannery close to the packing house. Soon after the tannery was built, a large cyclone swept it away, leaving only the foundation. 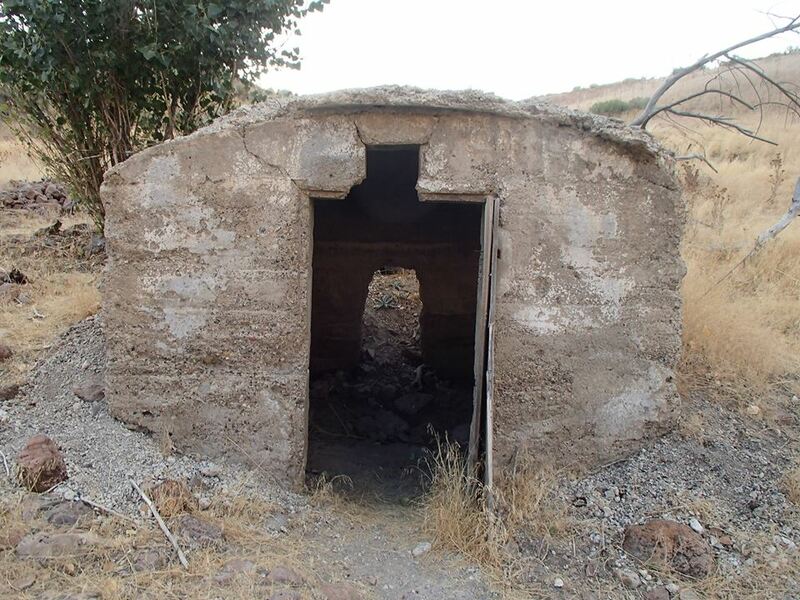 A second tannery was built and operated for only a short time when it too was destroyed, this time by fire. A third tannery was built, but the cost of the tanned hides had dropped from fifty cents a pound to three cents a pound. The Miller Brothers, ever resourceful, pivoted and began making harnesses and saddles. The 101 Ranch had its own dairy as well. A modern dairy barn and creamery were built and housed five hundred registered Holstein cows and took care of the dairy products. In connection with the dairy there was a modern day ice cream plant, cold storage and cooling rooms for the proper handling of the dairy products. The dairy was capable of taking care of milk from five hundred cows.The milk was made into butter, ice cream and cottage cheese. The dairy products were sold and delivered by refrigerated trucks for miles around the ranch including merchants in the towns of Marland and Ponca City. The dairy also had a large shipping trade in butter, ice cream, and cheese. The Miller brothers were among the first to produce moving pictures. Performances in roping, trick riding, bronc riding and bulldogging for movies were staged on the 101 Ranch rodeo grounds. Finding it difficult to feed the hundreds of actors at lunch time while out on location, Will Brooks, a cousin of the Miller Brothers, had the idea to provide a sack lunch for everyone. The sack lunches consisted of sandwiches, cakes and fruit. Each sack would contain the same kind and amount of food. At lunch time the actors and crew would line up and march by, each taking a sack. Water, coffee and milk were available for those who might want a different drink. All the food was produced on the ranch. The 101 Ranch operated a general store. It was the mercantile center in northern Oklahoma for a number of years. Originally started as a supply place for their large number of employees, the Millers eventually expanded until the store became a supply center for fifty miles around. It was a combined department store, which also carried ranch products of all kinds and Indian Store operating somewhat as an old time trading post. The 101 Ranch Café evolved from the old “ranch chuck house” to a modern day restaurant. The café was furnished, pleasingly designed and tastefully decorated. The café chefs prepared delicious meals and every piece of food with the exception of olives, sugar, and coffee was produced on the ranch. A special building was erected and equipped for the cider and canning industry. Approximately two hundred barrels of cider were manufactured each fall. All of the cider was pasteurized, thus keeping it sweet and making it possible to market at any time. Several thousand pounds of apple butter and jelly were manufactured annually as well. A modern laundry was operated by the Miller Brothers. It was equipped with modern machinery and did all the laundry work of the ranch, including that for its employees. 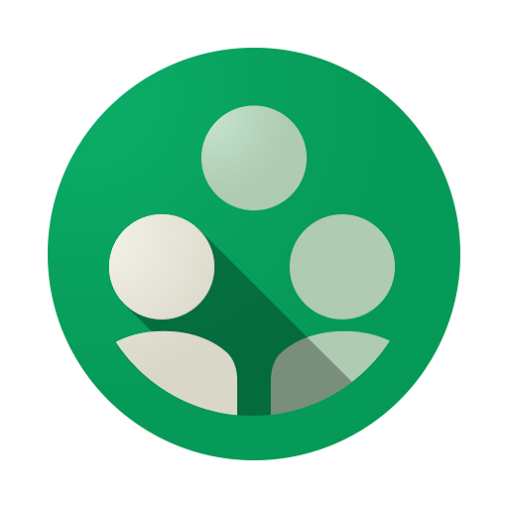 In addition, it served the needs of the surrounding county. The ranch had its own machine, blacksmith, woodwork, and repair shop. The shop was equipped with all the power machinery and tools needed in these line of work. Two blacksmiths were kept busy shoeing horses and repairing farm machinery. In addition to the ranch work, the shop served the needs of the farmers of the surrounding community. There was an ice plant with a capacity of ten tons daily maintained on the ranch. The plant provided ice for the ranch and its employees as well as the farmers of the community. Three large cold storage plants were provided for the proper handling of the meats and perishable products of the ranch. The ranch had its own electric light plant, system of waterworks and general power plant. One of the most interesting industries was the novelty factory. All kinds of Indian rugs, beaded belts and clothing, drums, bows and arrows, silver jewelry and much more were manufactured in the factory by Indians employed by the Miller brothers. A large assortment of souvenir leather goods such as cowboy belts, boys’ chaps and vests were also manufactured and sold. But just as Running-With-Arrows predicted years back, all was soon to come crashing down. By 1927, The Miller Brothers realized they were slowly losing everything. The 101 Ranch and Wild West Show were plagued with mortgages, crop failures, low prices for stock and bad seasons for the show. Throughout the 1927 tour, the Wild West Show encountered foul weather, fierce competition, rising expenses, and injuries to personnel and spectators, which often ended in costly litigation. The afternoon of October 21, 1927, Joe Miller who was only 57 years old, was found dead on the floor of his garage. Beside him was his car, which was idling and the car door was open. A pocket knife and several screws were on the running board. The attending physicians and others called to the scene surmised that Joe had been tinkering with the car engine and had been overcome by carbon-monoxide fumes. It was decided that Joe would want the show to go on. So with Zack Miller and his nephews running the show, the 101 Ranch Wild West Show launched another six month tour in April 1928. On the home front, George Miller tried to manage the ranch and pay off mounting debts due to crop loses, a severe decline in oil and gas royalties, and ironically, the heavy financial drain of the road show. In late January 1929, George spent a week in Texas looking over new oil properties and inspecting a wildcat well being drilled southeast of Big Spring. He returned to Oklahoma and on the evening of February 1st he met a few cronies at Ponca City’s Arcade Hotel for an evening of cards and conversation. In the wee hours of the morning of February 2nd, after playing numerous games of pitch and having several rounds of drinks, George left. During the night, a combination of sleet and snow had begun to fall and city streets were slick and dangerous. His friends tried to convince him to stay, but always a gambler, he bet his pals that even with the foul weather and bad roads he could be at the ranch in record time. Fifteen minutes after his big Lincoln roadster roared off into the dark, George Miller who was just 47 years old was killed. He died instantly at about 2:00AM on Highway 77 southwest of Ponca City. His car apparently had skidded and overturned on an icy curve. When he was found, his body was pinned beneath a front wheel with his head crushed. Faced with numerous problems and on his own now, Zack Miller, who was 50 years old at the time of George’s death, fought on. Even with the all the financial issues, he managed to produce the Wild West road show for three more years. By the end of 1930, as creditors closed in on Zack and the 101 Ranch suffered a net loss of more than three hundred thousand dollars, he stubbornly took the show on the road one more time. He tried and failed to sell the show. On March 24, 1932, everything on the ranch save for the White House and its contents went on the auction block. Zack who called the public auction “legal robbery” was arrested and briefly detained for chasing lawyers with his shotgun. After posting bond, he returned home and to his bed, suffering from what doctors diagnosed as a nervous breakdown. On April 2nd he received more bad news. Bill Pickett, the faithful bulldogger, had died in Ponca City hospital, two weeks after having been kicked in the head while taming an unbroken chestnut gelding at the 101 Ranch. Pickett was loyal to the Millers and the 101 Ranch to the end, so he was buried near the stone "Monument to White Eagle" that was south of the ranch headquarters. Others buried on that windswept hill along with Pickett were James E “Curbstone Curby” Smedley, an ox-team trainer for the Miller’s show, Henry Clay, a black cowboy who had taught Will Rogers some rope tricks, Gladys Hamilton, the nine-year-old daughter of one of the ranch's hired hands and Jim Gates, a farm laborer who had been shot to death at a dance. Pickett’s favorite bulldogging horse, Spradley, was said to have been buried nearby too. Throughout the years Zack Miller had many ups and downs. On January 3, 1952, Zack Miller closed his eyes for a final time at the age of 73. He died in Texas where so many years before his father had swapped hog meat for steers to start the Miller Kingdom. Zack was brought home to Oklahoma, back to the land he loved. He was laid to rest close to the banks of the Salt Fork, deep in the earth of Cowboy Hill. All these years later, there is hardly any physical trace of the 101 Ranch remaining. The land was divided up and eventually all traces of the buildings were either lost or delapidated. In 1987, a mysterious fire destroyed the historic 101 Ranch Store, which for many years had served as the home of Zack Jr and his mother Marguerite who took her own life there with a revolver in 1963. There are numerous stories of haunting activities on the 101 Ranch and some paranormal groups have had their own experiences and caught a few EVPs that are rather scary to listen too. Numerous witnesses say melancholy cowboy melodies and residual phantom voices can be heard around the site. 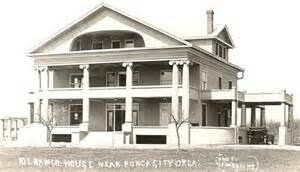 A group called The Society of the Haunted has been to the 101 Ranch to investigate several times. Cathy Nance, their case manager, details a time when they were in the basement of the White House, which was the only building remaining on the property. They received positive EMF meter readings, which could not be debunked by checking electrical connections because there is no working electrical wiring on the ranch now. After a thunderstorm passed, they were able to make EMF contact with what they believed was an entity that haunts the basement of the White House. It is said that on many occasions this unknown entity has answered a few question. This is a picky spectre though. Ask too many questions or get too pushy and it leaves. Cathy said that after a particularly intense question session, the entity told them to leave audibly and this was heard by all members of the group. The same group has claimed to hear drum beats coming from down by the river. The group Oklahoma Ghost Patrol claims to have had camera trouble everywhere on the property and cemetery hill. The only place where their equipment has worked properly is in the basement of the White House. Another local paranormal investigator claims to have been touched in the basement ruins. Third World Paranormal reported, "Our team had a handful of things happen to them while on the property. We experienced shadow figures, disembodied voices, voices captured on the ghost box, strange noises (bangings coming from the metal closet in the basement area), smells, anomalies in pictures, K2 activity, and being touched. Tommy made the spirit of Zack Miller upset by accidentally calling him Joe. Hildy kept feeling like there was someone on top a building looking at us. One of the quirks always experienced at Cowboy Hill for sensitive people, is when they touch Zack's headstone it feels like a surge of static electricity." April grew up in Ponca City and before she moved away twenty years ago, she had her own experience at the 101 Ranch ruins. She's not sure if the experience was paranormal in nature or not. One early evening, as she was driving near the 101 Ranch, she decided to stop and check out the historical site. She could hear what sounded like hooves beating across the prairie. And she could hear what sounded like soft songs on the winds along with the whoops and hollers of invisible cowboys. She felt as though she could sense the many different souls that had passed through the lands. Was it all in her head? Whether it was her imagination or a real supernatural experience, she knows that there is no way a person can stand on the grounds of the 101 Ranch and not be overcome with the possibility of what once was there and all the emotions enveloped in the land. The 101 Ranch seems to have been a city unto itself. It was a marvel in the production of nearly everything the Great Plains were known for from dairy, to cattle raising, farming, oil drilling and much more. Have the spirits of disturbed Native Americans risen to haunt the land? Are the former residents of the 101 Ranch still living here? 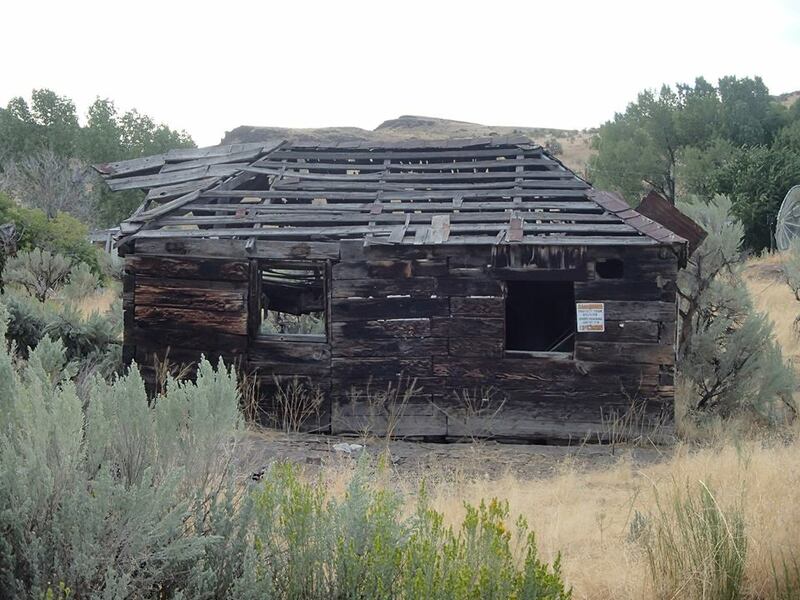 Is the Miller Brothers' 101 Ranch haunted? That is for you to decide! You may not have heard of Palisades, Nevada, but at one time, it was considered the wildest, roughest town west of Chicago back in the 1870s. Papers called it an evil hamlet and begged law enforcement to do something about all the senseless murders, bank robberies, showdowns and Indian raids. The craziness coming out of Palisades went on for three years. Visitors arriving on train would witness all sorts of crime. They might see two men passing near the train and one would suddenly pull a gun and fire and the other man would drop dead. They might even witness a horrific massacre of the townspeople by the local Shoshone Native American tribe. Blood would be everywhere. What makes this story odd is the fact that none of this was real. The whole town was in on the drama and they staged everything from gunfights to bank robberies to massacres. Visitors would come and witness the drama, some fainting, and then they would run from the town leaving the townspeople rolling on the ground with laughter. The newspapers would report everything as real because the witnesses thought it was real. 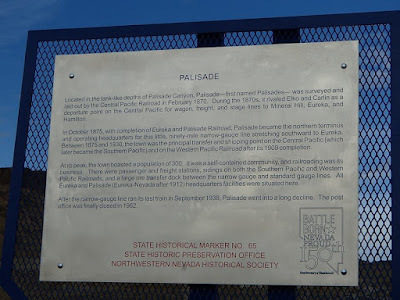 So Palisades gained a notorious reputation even though it was a law abiding town and for the three years they play acted being to roughest town around, not one real crime was committed in the town. Now that piece of Wild West history certainly is odd! On this day, January 28th,in 1855 the Panama Railway made its first run from the Atlantic Ocean to the Pacific Ocean. The Panama Railroad was incorporated in New York on April 7, 1849. The construction contract for the railway was awarded to a company headed by George M. Totten and John G. Trautwine. Col. George W. Hughes was hired to assess the location for the railway in January 1849. He reported that the location was horrible due to many factors. There were monsoons from June through December that brought deluges of rain for periods of three days at a time. The area had steaming hot jungles that were dense and the local timber could not be used in construction. And trying to get local labor was impossible because the men were undependable. Everything had to be imported for thousands of miles. Nevertheless, construction began on the mainland around Monkey Hill in August of 1850. It took over a year for eight miles of track to be completed and the cost reached more than $1 million. Word of this development caused the railroad's stock to nose dive. It was the day before the successful run of the train that two construction crews were able to see each other as they worked towards each other. They worked through the night using large lanterns lit with whale oil. George Totten drove in the final spike. On the following morning, the train traveled the 47 miles along the track. The final cost reached over $6.5 million. On today's show, we celebrate our 100th official episode! And we're having a rootin' tootin' good time heading to the Wild West town of Dodge City. We were looking for something special about the number 100 and came across this line that bisects the USA nearly in the middle vertically and low and behold, we found Dodge City sitting smack dab on top of it. The state of Kansas entered the Union in 1865 as a free state. The Civil War ended four years later and thousands migrated to Kansas, many of them veterans of the war. And then there were the outlaws and other famous names we know from the Old West, like Bat Masterson and Doc Holliday, and nearly all of them spent some time in Dodge City. Put on yer cowboy hat and boots and come with us as we look at the history and hauntings of Dodge City. Before we look at Dodge City, we wanted to look at this imaginary boundary known as the 100th Meridian. John Wesley Powell was the head of the U.S. Geological Survey in 1879. He established a line of longitude that was at 100 degrees of longitude west of Greenwich or as we know it officially, the 100th Meridian. What makes this line weird or some kind of scientific wonder is that it divides the arid west from the moist east. And that is a scientific backed location. East of the 100th Meridian, the average precipitation for the year is above 20 inches. Irrigation is not needed at that level so this line is the boundary between the non-irrigated east and the irrigation necessary west. The line splits North Dakota, South Dakota, Nebraska, Kansas, and Texas. Corn, wheat and soybean grow readily east of the line, but not west. The line has had other purposes in history. The Adams-Onis Treaty with Spain established the intersection of the 100th Meridian and the Arkansas River (now in south Dodge) as a corner of the boundary between the United States and Spain. Later the 100th Meridian in this area was the west boundary of the Osage Indian Lands. As we travel down this imaginery line dividing the nation almost exactly in half, we find a city that is directly on the 100th Meridian. That city is Dodge City in Kansas and it was documented by a Boy Scout working on his Eagle badge. Dodge City lies exactly at the intersection of the Arkansas River and the 100th Meridian. The line has also been referred to as the Plague Line as recently as late last year. This is because all the Plague cases in America originated in states west of the 100th meridian. Prairie dogs which are believed to live west of the 100th meridian help the infected fleas to spread. "Me debunk an american myth? Where the great plains begin"
Fort Dodge, located along the Mountain Branch of the Santa Fe Trail, a commercial route from Franklin, Missouri to Santa Fe, New Mexico, was established in 1865 to protect pioneers and trade wagons from Indian attacks. Another route along the Santa Fe Trail, besides the Mountain Branch, was the Cimarron Cutoff, which crossed the Arkansas River near today’s Dodge City and then headed southwest to the Cimarron River. Although travelers used the Mountain Branch, which ran along the north bank of the Arkansas River into Colorado, the Cimarron Cutoff, about five miles south of the Mountain Branch, was the preferred route because it was shorter and had no mountains to cross. However, the miles of waterless sand hills and risk of Indian attacks made it a dangerous trail to travel. Rancher Henry L. Sitler built a three-room sod house five miles west of Fort Dodge in 1871. His sod house, located at the base of a hill along the Santa Fe Trail, made it a convenient stopping place for buffalo hunters, traders, and wagon trains. Before long, Sitler was joined by George M. Hoover, who built a sod and board saloon, Dodge City’s first business. A group of businessmen from Fort Dodge, Riley, and Leavenworth, Kansas, organized the Dodge City Town Company on August 15, 1872, and started planning the development of their new town, named Buffalo City. After learning another town had the same name, they renamed their town Dodge City, after the nearby fort. Dodge City grew quickly with the arrival of the Atchison, Topeka & Santa Fe Railroad in September 1872. The town soon had two grocery and mercantile stores, a dance hall, restaurant, barber shop, blacksmith shop, and saloons frequented by buffalo hunters, railroad workers, drifters, and soldiers. By November, the town had 70 buildings. In the beginning, the town had no law enforcement and was out of Fort Dodge’s jurisdiction, so it quickly became infamous for gunfights and general lawlessness. Black Jack, the first person killed in Dodge, was buried on a treeless hill in September 1872. Others followed him and the treeless hill was named Boot Hill Cemetery, because they all died with their boots on. One source stated that before burial, the dead person's boots were removed and placed under his head in the coffin. Boot Hill was used until 1879, when the Town Company founded a new cemetery named Prairie Grove. The remains of 30 bodies were moved to the new cemetery located northwest of Dodge. After being on a cattle drive for months, the cowboys were ready to party when they arrived in Dodge, adding to the general mayhem already existing. Law and order arrived when respectable law enforcement officers such as W. B. “Bat” Masterson, Ed Masterson, Wyatt Earp, Bill Tilghman, H. B. “Ham” Bell, and Charlie Bassett were hired to keep the peace. An ordinance stating guns could not be worn or carried north of the “deadline” was passed. The law did not extend south of the railroad tracks, which was the deadline, so it was open for everything. 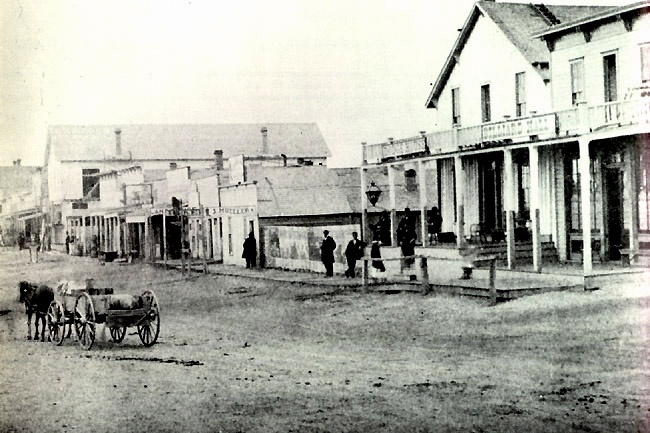 In 1877, Dodge City had 19 businesses and 1,200 residents. During the summer, the population grew with the arrival of cowboys, cattle buyers, gamblers, and ladies of the evening. Since the majority of the cattle drives originated in Texas, businesses, dance halls, and saloons catered to the Texas trade. Saloons were renamed Lone Star and Alamo and brandies, liqueurs, and new mixed drinks were served, sometimes along with anchovies and Russian caviar. The demise of Dodge City’s haydey started when Fort Dodge closed in 1882, and continued after two fires in 1885 destroyed several buildings, a severe blizzard in January 1887 ended the cattle drives, the passage of a cattle quarantine law, and laws against gambling, liquor, and prostitution were passed. Phil had wondered if we would be talking about Butch Cassidy and the Sundance Kid. Well, it just so happens that Butch Cassidy did come through Dodge City when he was younger. He worked as a cowboy and would rustle stray cattle along with a couple other guys and they would drive the stolen herd to Dodge City and sell them at auction there. Fort Dodge was a key fort for the western frontier and it was established on April 10, 1865. Capt. Henry Pierce headed up the building of the fort as ordered by Major General Grenville M. Dodge, for whom it was named. The mission of the fort was to protect the wagon trains along the Santa Fe Trail on their way to New Mexico. As we mentioned with the 100th Meridian that there is an arid side and a wet side to the country, so too was there with the Santa Fe Trail. The fort was situated where these two divisions lay on the trail. The dry route came across the divide from Larned on the Pawnee River, while the wet route followed the river. The dry route was considered the journey of death. The fort was relocated and rebuilt out of stone in 1867. The fort closed for good as a military post in June of 1882. It served as a soldier's home after that and today is a museum. The Long Branch Saloon had a peculiar start. Cowboys were playing a game of ball with soldiers and a wager was laid down. If the soldiers lost, they had to provide supplies to build the saloon. The soldiers lost. In 1878, Chalkley Beeson and William Harris bought the saloon. They dressed up the place and Beeson's five-piece orchestra played nightly. Gambling took place and refreshments were served ranging from milk, lemonade and sarsaparilla to beer and liquor. During the summer, everything was kept cold from ice shipped by train from the Colorado mountains and during the winter, things were kept cold from ice obtained from the Arkansas River. The saloon was located on Front Street, which burned down in 1885. Cattle drives had ended, so they were not rebuilt. In 1947, Front Street was reconstructed according to old pictures to look as it did in 1876 and was built on top of the Boot Hill Cemetery, which is why the Long Branch Saloon houses the Boot Hill Museum. "There is seldom witnessed in any civilized town or country such a scene as transpired at the Long Branch Saloon, in this city, last Saturday evening, resulting in the killing of Levi Richardson, a well known freighter, of this city, by a gambler named Frank Loving. For several months Loving has been living with a woman toward whom Richardson seems to have cherished tender feelings, and on one or two occasions previous to this which resulted so fatally, they have quarreled and even come to blows. Richardson was a man who had lived for several years on the frontier, and though well liked in many respects, he had cultivated habits of bold and daring, which are always likely to get a man into trouble. Such a disposition as he possessed might be termed bravery by many, and indeed we believe he was the reverse of a coward. He was a hard working, industrious man, but young and strong and reckless. Loving is a man of whom we know but very little. He is a gambler by profession; not much of a roudy, but more of the cool and desperate order, when he has a killing on hand. He is about 23 years old. Both, or either of these men, we believe, might have avoided this shooting if either had possessed a desire to do so. But both being willing to risk their lives, each with confidence in himself, they fought because they wanted to fight. As stated in the evidence below, they met, one said "I don't believe you will fight." The other answered "try me and see," and immediately both drew murderous revolvers and at it they went, in a room filled with people, the leaden missives flying in all directions. Neither exhibited any sign of a desire to escape the other, and there is no telling how long the fight might have lasted had not Richardson been pierced with bullets and Loving's pistol left without a cartridge. Richardson was shot in the breast, through the side and through the right arm. It seems strange that Loving was not hit, except a slight scratch on the hand, as the two men were so close together that their pistols almost touched each other. Eleven shots were fired, six by Loving and five by Richardson. Richardson only lived a few moments after the shooting. Loving was placed in jail to await the verdict of the coroner's Jury, which was "self defense," and he was released. Richardson has no relatives in this vicinity. He was from Wisconsin. About twenty-eight years old. Together with all the better class of our community we greatly regret this terrible affair. We do not believe it is a proper way to settle difficulties, and we are positive it is not according to any law, human or divine. But if men must continue to persist in settling their disputes with fire arms we would be in favor of the dueling system, which would not necessarily endanger the lives of those who might be passing up or down the street attending to their own business. We do not know that there is cause to censure the police, unless it be to urge upon them the necessity of strictly enforcing the ordinance preventing the carrying of concealed weapons. Neither of these men had a right to carry such weapons. Gamblers, as a class, are desperate men. They consider it necessary in their business that they keep up their fighting reputation, and never take a bluff. On no account should they be allowed to carry deadly weapons." Fort Dodge: There are reports of strange occurrences from weird sounds to light anomalies. There is a barn on the site that has all its lights go on and off at 3:30 in the morning. The doors mysteriously open by themselves as well. Soule Intermediate Center/Former Old Dodge City High School: The library of this former high school used to be haunted by the ghost of a student who died in the school. He was wandering around under the school in the basement and became trapped and died. One day when the school was still a high school, students were walking through the hallways after hours to take down flyers they had put up about a play the school had performed when they heard the library door open and close and a male laugh. They raced over to see who else was in the school and found no one. And the library doors were locked. Suddenly the flyers were grabbed from the hands of one of the students and torn in half before their very eyes. They all ran screaming from the building. Ed Masterson: Edward J. Masterson was the brother of Bat Masterson and he was the marshal of the Dodge City Police Department. A man was walking down the street one day and he was carrying a gun, which was in violation of the town's ordinances. The man handed the gun over, but when Ed turned and walked away, the man pulled out another pistol he had (perhaps he should have frisked the guy) and he shot Ed. The shot didn't kill Ed right away and he was able to shoot back at the man, killing him. Ed then succumbed to his own gun shot. Ed was buried at the old Fort Dodge Cemetery, but his body was later moved to Prairie Grove Cemetery. Years later, a housing development was planned and it wanted the land where the cemetery was located, so poor Marshal Ed was moved again. Or was he? His body seems to be missing and some have surmised that he is still buried in someone's backyard. Poltergeist anyone? And indeed, it would seem that Ed's restless body has led to a restless spirit. The ghost of Ed is seen walking around the old Front Street location. Ghostly Cowboys: User going by the name S: "I saw a full-figure 1880s-looking cowboy standing next to the amtrak train at 3 am, wearing a flat hat, mustache, duster coat with pants tucked into boots. I asked the conductor about him but he disn't see the figure, which was looking right at me with a serious/mean expression." An Anonymous person added: "I saw the same cowboy next to the train tracks by the south side on north 14th Street, looked so real as I drove by when I was on my way to the grocery store to get milk around 1 am or so. I never did tell anyone because I thought maybe it was just my imagination.. But since I moved to Dodge City I have seen more than just that cowboy by the train tracks very scary." Something peculiar has been happening at a beach in Cornwall, England. Pieces of Legos have been washing up on shore. And as if that were not strange enough, it has been happening for 17 years. While children might be praising God that fish have learned to poop out Legos, the cause for this is rather mundane. On Feb. 13, 1997 a shipping container from a New York-bound Tokio Express freighter was hit by a huge wave. The container contained 5 million Lego pieces and it tumbled into the ocean. Ever since that happened, anytime there is a harsh storm, Lego pieces wash up on the beach. Oddly, the Lego pieces all have a nautical theme, like seaweed, spear guns, octopuses and scuba gear. Plastic dragons and daises have also been known to wash up on the beach occasionally. British writer Tracey Williams created a Facebook page called Lego Lost at Sea and any recovered Lego pieces are documented there. Williams has said, “These days the holy grail is an octopus or a dragon. I only know of three octopuses being found — and one was by me — in a cave in Challaborough, Devon. It’s quite competitive. If you heard that your neighbor had found a green dragon, you’d want to go out and find one yourself.” While the explanation is clear, Legos washing up on a beach certainly is odd! And we would like to add that since we are featuring a haunted site in Edmonton, Alberta, Canada, we should mention the website Oddmonton.ca that features oddities and curiosities in Edmonton. On this day, January 25th in 1890, Nellie Bly arrives in New Jersey after her 72 day trip around the world. Nellie Bly was the pen name of American journalist Elizabeth Cochrane Seaman. She was also a writer, industrialist, inventor, and a charity worker who was widely known for this record-breaking trip in emulation of Jules Verne's fictional character Phileas Fogg, and an exposé in which she faked insanity to study a mental institution from within. She was a pioneer in her field, and launched a new kind of investigative journalism. In 1888, Bly suggested to her editor at the New York World that she take a trip around the world, attempting to turn the fictional Around the World in Eighty Days into fact for the first time. A year later, at 9:40 a.m. on November 14, 1889, she boarded the Augusta Victoria, a steamer of the Hamburg America Line and began her 24,899-mile journey. She brought with her the dress she was wearing, a sturdy overcoat, several changes of underwear and a small travel bag carrying her toiletry essentials. She carried most of her money in a bag tied around her neck. The New York newspaper Cosmopolitan sponsored its own reporter, Elizabeth Bisland, to beat the time of both Phileas Fogg and Bly. Bisland would travel the opposite way around the world. To sustain interest in the story, the World organized a “Nellie Bly Guessing Match” in which readers were asked to estimate Bly’s arrival time to the second, with the Grand Prize consisting at first of a free trip to Europe and, later on, spending money for the trip. On her travels around the world, Bly went through England, France (where she met Jules Verne in Amiens), Brindisi, the Suez Canal, Colombo(Ceylon), the Straits Settlements of Penang and Singapore, Hong Kong, and Japan. The development of efficient submarine cable networks and the electric telegraph allowed Bly to send short progress reports though longer dispatches had to travel by regular post and were thus often delayed by several weeks. Bly traveled using steamships and the existing railroad systems which caused occasional setbacks, particularly on the Asian leg of her race. During these stops, she visited a leper colony in China and she bought a monkey in Singapore. As a result of rough weather on her Pacific crossing, she arrived in San Francisco on the White Star liner Oceanic on January 21, two days behind schedule. However, World owner Pulitzer chartered a private train to bring her home, and she arrived back in New Jersey on January 25, 1890, at 3:51PM. Fort Edmonton is a settlement that dates back to the true beginnings of Canada becoming an official country and to Alberta becoming a province. It moved many times and witnessed much history. 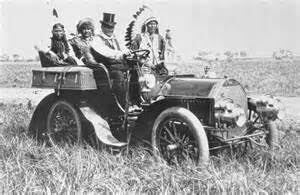 It played a key role in history with both European settlers and the natives that lived on the land. Is this why its current location at Fort Edmonton Park seems to have unexplained activity? 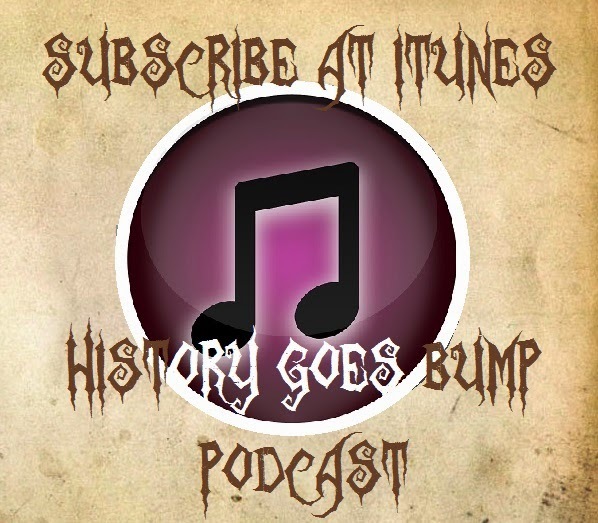 Join us as we explore the history and hauntings of Fort Edmonton. The Hudson Bay is considered the great inland sea. The Hudson Bay Company named itself for this sea and they made it a practice early on to build their forts near the water. They would trade with the native people there. Exchanging metal goods like knives and kettles and special items like beads and blankets for fur pelts. In the late 18th century, the company was forced to move operations more inland. It is believed that Anthony Henday was the first European to explore Alberta for the Hudson Bay Company, but that was not until 1754. Before him, French fur traders more than likely had come and many had intermingled with the Indian tribes creating a new race known as the Metis. The Metis tribe would go on to establish itself in present day Manitoba. Today, there are approximately 400,000 Metis in Canada. The word Metis is French for "mixed." A rivalry began with another company called the North West Company when they built a fort in the region in 1778. They fought over territories and trading for years. Finally in 1821, the Hudson Bay Company absorbed the North West Company. The early history of Alberta is tied heavily to this fur trading. Alberta eventually became a province in 1905. The town of Edmonton was selected as her capital. The city of Edmonton was an area bought by the Canadian government from the Hudson Bay Company in 1870. 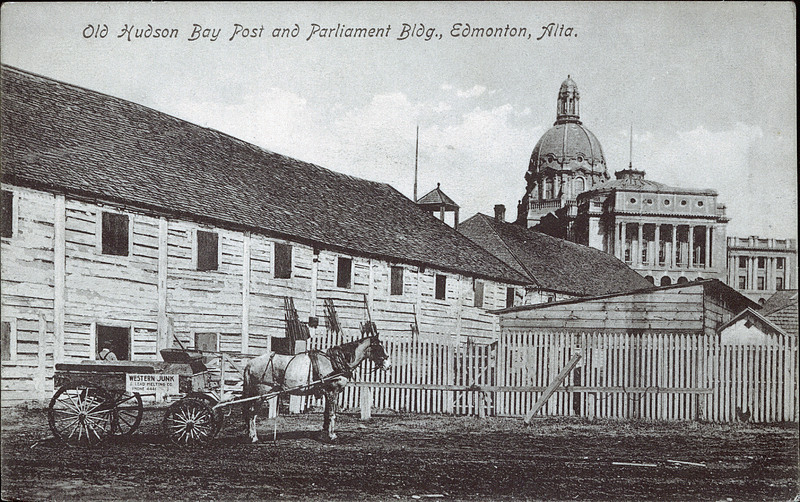 In 1892, Edmonton would formally be incorporated as a town. Not many called the place home until the Klondike Gold Rush started in 1896 and Edmonton became a hub for supplies. In 1930, Edmonton became the "Gateway to the North" and when oil was discovered there in 1947, its economy changed forever. But before Alberta was a province and before Edmonton was a city, the Hudson Bay Company founded Fort Edmonton. Fort Edmonton was established on the northern Saskatchewan river in 1795 by the Hudson Bay Company as a fortified trading post next to its rival North West Company. We mentioned earlier that the North West Company had built a fort in 1778. That was Fort Augustus. Due to the competitive nature of both trading companies, it was said that the two fort were built a “musket-shot” apart in distance. It was John Peter Prudent, a clerk for the Hudson Bay Company, who named the fort after Edmonton, Middlesex, England. Both trading posts, Edmonton and Augustus were moved several times, but they retained their names. Fort Edmonton was home to several Canadian historical figures such as the first woman from European descent to live in the region, French Canadian, Marie-Anne Gaboury, grandmother to Louise Riel, the founder of the province of Manitoba. Also, from 1826 to 1853 the fort thrived under the management of the colorful John Rowand, a fur trader who was from Montreal, who remained at the fort until his death in 1854 once he was appointed to the fort. He was called “one of the most pushing bustling men in the service…warm hearted and friendly in an extraordinary degree”. 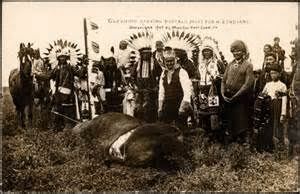 He was known as Iron Shirt by the Native Americans and was considered one of the most influential white men on the Saskatchewan plains. As mentioned, Fort Edmonton was moved several times. Each time that it was moved was coined as a Mark. There are five Marks for the Fort. The first was built in 1795 and lasted until 1801. Several years of declining and increasingly scarce fire wood caused the fort to be moved upstream to what is now the Rossdale area in Downtown Edmonton. The second Mark was built in 1801 and lasted until 1810 when it was moved to the mouth of White Earth Creek 100 km north east form the modern city of Edmonton to Smoky Lake Alberta and the third Mark was built. This one stood from 1810 to 1812. The Indians would not trade at this location and so it was moved again. The fourth Mark stood from 1813 to 1830. At that time the two forts returned to an original site, and then in 1821, the Hudson Bay Company merged with the rival North West Company, and the Fort Augustus name was dropped. Finally in the 1830s, the fifth and final Mark of Fort Edmonton was completed. The fort had to be moved to higher ground after a severe flood, and it is this site where the Alberta legislature building now sits. Through the years, several noteworthy explorers came through or stayed at the fort. James Sinclair, son of the Hudson’s Bay Company president, twice led large parties of settler’s half-way across Canada, from the Red Valley to the Columbia valley. In 1859, the 9th Earl of Southesk visited on his way to the Rocky Mountains, hoping that the fresh mountain air would improve his health. From 1870 to 1885, the fort was under threat of Indian warfare quite regularly. The Cree Chief Maskipiton was killed during a battle with the Blackfoot. Fifteen years later, the fort was in the middle of the North West Rebellion, the Edmonton telegraph wire was cut, and settlers went behind the old wooden palisade, but luckily they were not attacked. In 1915 the fort was demolished. The fort was reconstructed in 1966 as a way for families to enjoy the history and named Fort Edmonton Park. Tania shared that the fort has streets named after historical dates in time that represent the different periods of 1885, 1905 and 1920. People can take a train or the old street car for a ride. People can stroll leisurely or stop to have a bite to eat. They have delicious ice cream and treats and there is a visitor center when you first walk up to the park. The fort was built from material spanning all the Marks. Buildings from the other periods were found and moved to the park as well. For this reason, people believe this has caused spirits to be attached to Fort Edmonton Park. In 2003 a group was visiting the Fort Edmonton Park and they were touring the Firkins House. Dr. Firkins and his family built the home in 1912. It is Edwardian in style. As the group took a picture near the Firkins’ children's bedrooms, the picture revealed the image of a purple eyed figure sitting on the bed after it was developed. Also, the group saw a small boy playing with a red ball. There were no children in the group, but no one felt it was a threat. This boy has also sometimes been described as a teenager. Haunting experiences started with the Firkins House back when it was first moved. Rumors were already being whispered that the home was haunted. When construction crews moved it and restored it, they claimed that their tools were moved around or went missing and that windowpanes would go up and down unassisted. What is responsible for the hauntings is unknown. The Firkins had daughters and no one died in the home. In the study/library the group witnessed a female entity form in the middle of the bookcase. Another picture caught an orb with the face of a male inside. There are reports throughout the park of people feeling eerie energy coming from the windows of the buildings. The staff report unexplained thumps, footsteps and feeling that someone is standing behind them. This location was featured on Creepy Canada due to its haunted reputation. Employees claim that several items on the show were fabricated including a haunted ventriloquist doll and a book of magic. And most employees say that nothing haunted is going on anywhere in the park. Are the spirits of the explorers from the past still clinging to the fort? Could spirits have followed their moved homes to this new location? Is there something about the land in connection to the indigenous people who once lived here causing the weird feelings people have at this location? Is Fort Edmonton haunted? That is for you to decide!